Originally published in APPPA Grit (Summer 2002) by Jeff Mattocks. The book Raising Poultry on Pasture: Ten Years of Success includes diagnostic flowcharts to help you troubleshoot mortality, illness, and leg problems. The most common causes for Pastured Poultry mortalities are Ascites, Air Quality, Temperature Control, Coccidiosis, Enteritis, Heart Attacks, Curly Toe, and Spraddle Leg. Ascites (Water Belly, Pulmonary Hypertension) is the #1 cause for broiler mortality in Commercial and Pastured Poultry production. 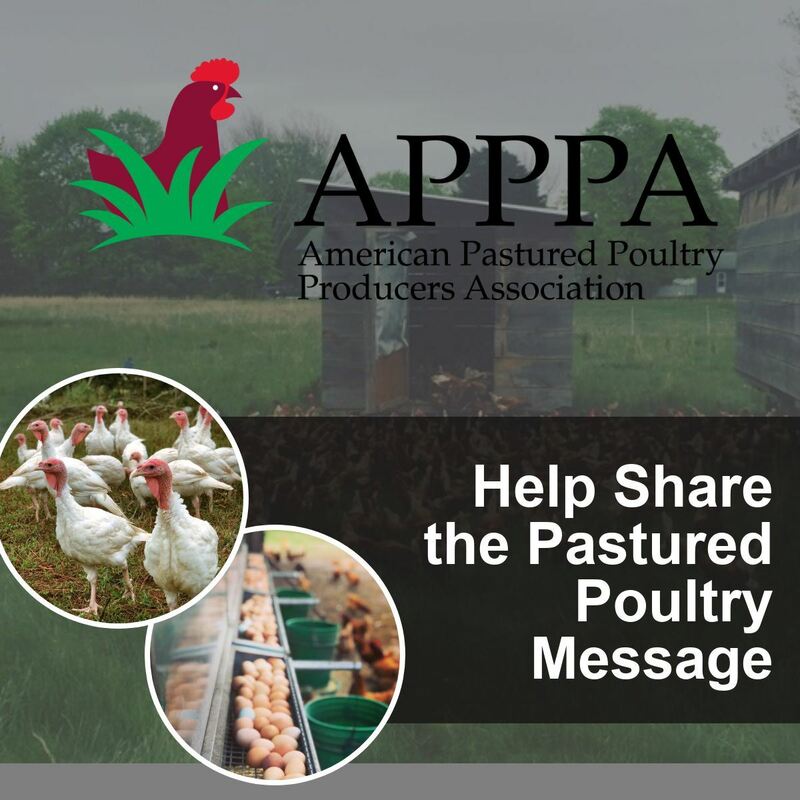 Incidence rates as high as 25% in commercial broilers and 15% in pasture poultry broilers. Ascites is responsible for 20-30% of all male broiler deaths. Ascites is contributed primarily to the superior growth characteristics coupled with under-developing internal organs, primarily the lungs and heart. The problem is a lack of oxygen or a higher demand for oxygen, which the heart and lungs may not be able to deliver to meet the metabolic processes. Ascites is most often triggered by stressful conditions, usually damp and cool; the brain sends a signal requiring more oxygen to the digestive tract to generate more heat. When the lungs can't meet the demand for oxygen it sends a signal to the brain to increase blood flow. The heart then begins to beat faster and increases blood flow. However, the right ventricle is undersized and the heart cannot handle the return pressure. The back press then causes an over pressure in the liver, which in turn starts to seep plasma into the body cavity. (I.e. Water Belly) Therefore either the liver shuts down or the heart quits causing death. Primary preventative measures to relieve Ascites are increased quality air flow and the prevention of night time cold stress. Other alternatives to fight Ascites are to decrease dietary energy by feeding mash diets rather than pelleted diets, skip-a-day feeding or limit feed access. There are side affects to skip-a-day feeding and limited feed access. Both methods will cause frantic feeding behaviors, which will lead to skin wounds from the birds jumping on each other to get to the feed. Skin wounds provide prime opportunity for E-Coliform bacteria infection. This is known as I.P. or infectious process. I receive many calls per year about mild to severe respiratory problems. I start my diagnosis by asking a lot of questions regarding the symptoms and conditions of the poultry. Most of the cases that I try to diagnose throughout the year are related to air quality, and most of these occur in the brooder. Many folk, particularly beginners in pastured poultry, treat their chicks like their infant children. Everyone is cautious about drafts and chills and these are things to be aware of. The downfall to being overcautious is the tendency to seal up the entire brooder so that NO fresh air can get in. Chicks require a minimum 100% air exchange 6 times in a 24 hour period. This doesn't include drafts that come in at floor level. It also does not include chilling the chicks with a rush of very cool air. It does include a subtle continuous movement of air in the brooder or any controlled environment. The problem most often encountered with poor air movement is Sinusitis. Sinusitis is a direct result of excess humidity and ammonia release from manure. The ammonia will cause an irritated respiratory tract, which causes tissue scarring, which decreases oxygen absorption to the blood stream, which accentuates Ascites. (My grammar is really not that bad. I wanted you to see the domino affect of a bad condition.) Both sinusitis and ammonia scarring will retard growth weights, if they don't kill the birds first. Both sinusitis and ammonia build up can be controlled with air quality management. We all know that temperature control is critical. I experienced this first hand this spring when brooding chicks in February when our day time and night time temperatures swing at least 20 degrees. I know that I don't deal well with 20 degree temperature swings, how well do we think a day old chick can deal with these types of temperature changes? I had to adjust my heat lamp distance a minimum of 4 times daily to try and maintain some sort of constant temperature. Chicks need to regulate their own temperature. By this I mean that we provide enough area with supplied heat that the chick can find it when it needs it and get away from it when they don't. Amazingly the chicks are really smarter than I give them credit for. I only thought they were stupid because they didn't do what I thought they should. I get a couple calls each year where the chicks are very irritable and even cannibalistic. Asking my twenty questions, I find the problem is almost always excessive heat. Coccidiosis and Necrotic Enteritis are often confused, as the symptoms are similar. The symptoms include pasty butts, diarrhea, lifelessness, excess water consumption, and eating shavings. The difference will be blood spots in the manure. Blood spots are a clear indication of Coccidiosis. The good news is that both problems can be treated the same way. MANAGE YOUR LITTER! That was simple. Whenever you see clumped litter (generally around the feeder or waterers) you have harmful bacteria and/or coccidiosis. Actually there are several precautionary steps that can be taken. First, keep the clumped litter removed. Second, raise the feeders and waterers so that the lip of the feeder and waterers are level with the average birds back. Third, periodically apply thin layers of new shavings on top of the old. Fourth, maintain a good AIR FLOW. Most occurrences of Coccidiosis and Enteritis will occur in the brooder. Generally symptoms will become noticeable around day 10. The mortality will peak between day 14 - day 21. Then the deaths will slowly reduce because the remaining chicks have built their own immunity to coccidiosis. If either of these problems have gotten out of hand and you are in the middle of a crisis, feed whole / raw milk to the chicks for 7 days. This will coat the stomach and soothe the pain so they can continue to eat and drink normally while the immune system kicks in and protects the chick. This is the easiest method. The other method is a "break glass-in case of emergency" type of solution ONLY! 1oz Copper sulfate mixed with 1 gal distilled water. This solution is your concentration or stock solution. Add 28oz of concentrate to 5 gallons of drinking water. Treat for 3 days ONLY! If necessary you can treat again after 3 days of no treatment. Heart Attacks are also referred to as SDS or sudden death syndrome. The symptom for SDS is real easy to identify. The chicken will be on its back with it's feet straight up in the air. What causes it? Well the university experts are still guessing. There are ideas that it is heat related, which causes an electrolyte imbalance, which causes left ventricular fibrillation. That was a mouthful; I got it from "Commercial Poultry Nutrition" written by Leeson and Summers, University of Guelph, Ontario. During heat stress times I recommend feeding apple cider vinegar at the rate of 1 oz per gallon of drinking water. Some people really think it works and some people say they have no results. Try it! It's cheap and you won't hurt anything. Then let me know what you think. I also encourage reducing stocking density. Especially during the mid summer to allow better AIR FLOW. Increasing the amount of available oxygen will reduce stress and unnecessary heart pumping. I am also fond of moving the broilers during the mid day. By doing this you will remove them from their old manure, improving air quality. Also new grass is cooler from evaporation and it isn't exchanging nitrogen from manure with its carbon matter. This technique won't work for everyone because not everyone is home during the midday. If you can try it, you'll like it. These are the common leg problems that most Pastured Poultry Producers experience. Each is fairly simple to explain. Curly toe is either a riboflavin deficiency or it is a genetically transpose weakness. If you have a riboflavin deficiency you will have 10% or more afflictions. If you have 2 out of 200 it is a mistake of nature. If you have 20 out of 200 you have a problem. Check your feed recipe to ensure you have adequate amounts of Riboflavin. 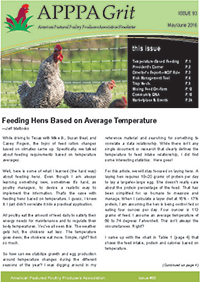 By the way adequate is 5.5 PPM in finished feed or 11,000 PPM per mix. Immediate corrective action is to feed diced or ground raw liver or to supplement Brewers Yeast onto the top of their feed. Spraddle Leg, otherwise known as Slip Joint Tendon is either an injury or manganese deficiency. What happens is the Achilles tendon has slipped out of the joint between the foot and drumstick. The leg will stick out perpendicular to the bodyline. As with Curly Toe, if you have 2 out of 200 it is mostly likely a result of an injury. If you have 20 out of 200 you have a problem. There is NO corrective action once the tendon has slipped. Again you need to ensure that your manganese requirements are being met. It should be 70 PPM per pound of feed. For immediate treatment you can just sprinkle some manganese supplement onto the top of the feed.